ASEP's leadership team is comprised of our Board of Directors and a dedicated team of youth development professionals. ​Get to know our leadership team below. Tany’s passion for youth development and social justice lead her to ASEP five years ago. Her background is in sustainable agriculture and entrepreneurship where she managed urban farming and youth development programs in Boston, MA. At ASEP, Tany has had the opportunity to innovate program and business operations with her previous roles as Development Director and Program Director while simultaneous earning her MBA from Babson College. Today, Tany is proud to lead the ASEP team with a vision for equity and quality education services. In her free time she loves to explore the CA coast and host community dinners with family and friends. ​Casey Howard is the Site Coordinator for ASEP at Daniel Webster Elementary. He has been working with youth for 13 years and this will be his 5th year with ASEP. Being born and raised in San Francisco, Casey has always had a passion for working within the community and empowering the youth of the city. His leadership has helped develop the ASEP program as a pillar within the Daniel Webster community and will continue to contribute these skills to its inevitable growth. ​Ramiro Lule joined the ASEP team as our Program Director in August of 2018. Ramiro has 11 years of experience in youth development and out of school programs. Ramiro has a deep passion for youth development and outreach that stems from his own experience as a youth benefiting from similar programs here in San Francisco. ​Aren’s background is in Afterschool education and enrichment, with a focus on socio-emotional learning and character development. Aren has worked in youth development across the coasts in NYC and California. Aren is extremely excited to return to the McKinley community as the ASEP McK Site Coordinator. Having been born and raised in Marin County, Aren is particularly driven to provide new opportunities and experiences to youth within the communities that gave him so much as a child and adolescent. He is passionately dedicated to educating, motivating and inspiring those around him, both young and old, to be all that they can be. Martha is very excited to return to ASEP for a fourth year. She is continuing her journey as the Assistant Site Coordinator at McKinley, after taking on various other positions within the organization. Martha is truly a jack of all trades, bringing with her a BA in Communication Studies with an extra focus on Child Development. 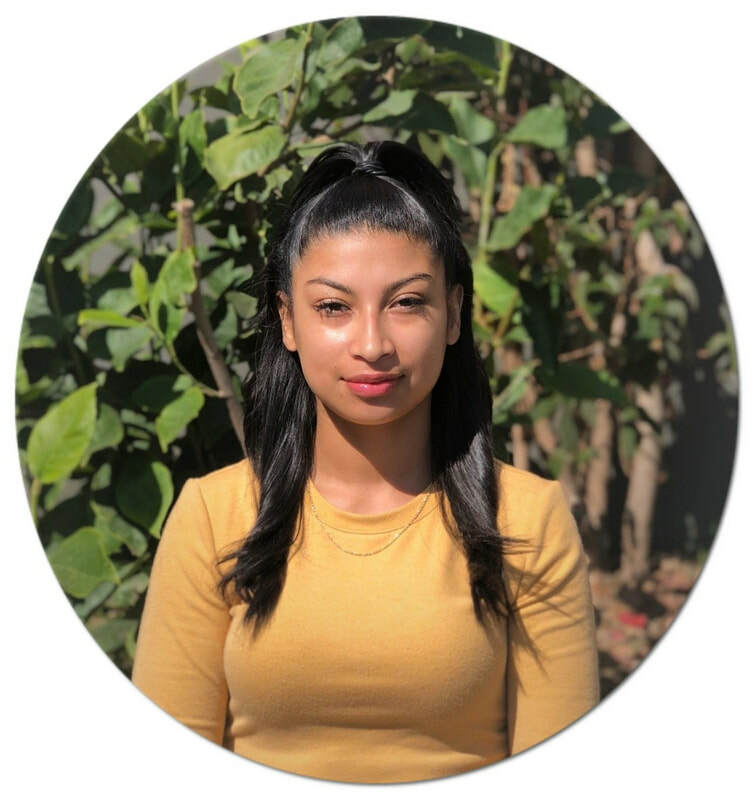 Martha is excited to continue her career with ASEP, while also furthering her education at San Jose State within the Masters Program for Library Science. ASEP is lucky to have Martha on the Management Team, as her wealth of knowledge and passion are beyond reproach. ​With over 9 years of ASEP experience in different roles, Ferkhunda Murad is proud to be a part of ASEP's growth. As HR, her organizational goal is to create and maintain an ASEP work culture that supports Youth Development Leaders while they flourish the Leaders of tomorrow. Ferkhunda has a BA in Psychology with a minor in Special Education. in her down time, she enjoys working with different visual art mediums, music and cooking. ​Mike Tortorelli has been leading children and adults in physical and nutrition activities for the last 15 years. As a self-styled Play Facilitator, Mike’s core philosophy is to the “See the Star in Every Child". Mike draws upon his experience with organizations such as Joy of Sports, Shapedown, California Pacific Medical Center and San Francisco General Hospital. Mike has enjoyed being ASEP’s Health and Wellness Coordinator since 2009. ​Nancy has been an integral part of the ASEP/McKinley Community for over 15 years, serving in a myriad of roles, with varying responsibilities. She has her AS in Child Development and continuing with a BA in Social Work. Nancy’s passion and dedication have truly helped shape the heart of our programming. Nancy is very excited to serve as the ASEP/McKinley Academic Liaison this year, where she can better influence the day to day well-being of all students. ​Odile Ciofalo, Office Manager at ASEP. A native of tropical Mauritius Island, found in the Indian Ocean, and longtime San Francisco resident, has lent her skills to managing and improving small businesses in San Francisco for the last 17 years. A lover of details and getting things right, she prides herself on excellence in customer service and excels at pinpointing what isn't working and creating new systems for increased efficiency and a happier work environment. A lover of all things funny, she brings her sense of humor and congeniality to every endeavor, creating a team environment and camaraderie wherever she goes. In her free time, Odile loves cooking, dancing and spending time with her family and friends. Ingrid’s passion lies in the realm of Child Development, as evidenced by her seven years with ASEP. She has worn many hats from Aide in a classroom to currently the Language Program Coordinator. Ingrid is very proud to work for an organization that believes in the Restorative Approach to deal with conflict. As well meet the needs of the families through various programming. Brenda has been working with ASEP for 3 years where she has grown both personally and professionally. As a Program Leader for Red and Yellow Groups, Brenda has grown to develop her own leadership and passion for working with children. As the DW Head Teacher, she looks forward to providing a strong connection between the team and the community she loves.